Particularly after the birth of her son Francis she became extremely influential in Naples and ran the place to large extent. 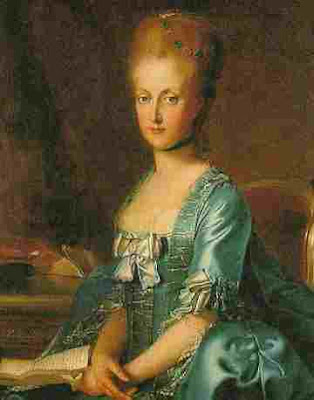 She kept an eye on being a help to Austria but she was also much taken with the fashionable trend of the liberalism of the “Enlightenment”. She employed the Englishman John Acton in reforming the Neapolitan army, finances and he finally became prime minister all amidst gossip that Acton and the Queen were having an affair. She supported the work of many liberal thinkers, artists and so on and even when trouble began brewing in France she was originally supportive of many of the ideals of the revolutionaries. However, that all changed of course when the monarchy was abolished and seeing the results of the ideas she had once championed, she totally reversed herself. It became worse when poor Marie Antoinette was executed and forever after Maria Carolina carried a portrait of her sister with her and vowed to avenge her death. It was due to her influence that her husband put the Kingdom of Naples in the First Coalition of European powers against the French republic.